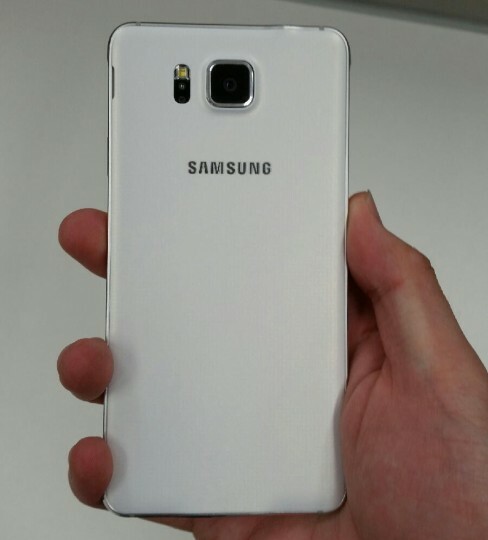 Samsung Galaxy Alpha is rumored to be arriving on August 11 and we’ve already seem quite a few leaks around the device. We have seen the pictures of the device and we’ve also come to know its specs. Today, fresh pictures of the Galaxy Alpha have arrived and they give us the best look of the device till date. The Galaxy Alpha will surely remind you of the Galaxy S II. The metallic frame and the rectangular shape of the device surely give it a more premium look than most of the other Samsung devices (except for the Note 3). While it’s not a bold design or major overhaul from Samsung, we are still pleased that we’re getting a better looking device atleast. The Galaxy Alpha will come with a 4.8-inch Super AMOLED HD (1280x720p) display and it’ll be powered by the very capable Exynos 5433 octa-core processor. Other specs include 2 GB RAM, 32 GB storage with no expansion, 12 MP and 2 MP cameras and Android 4.4 KitKat. We can also expect the device to come with a fingerprint scanner and the heart rate monitor. We’re not sure about the water and dust resistance ratings on the device. 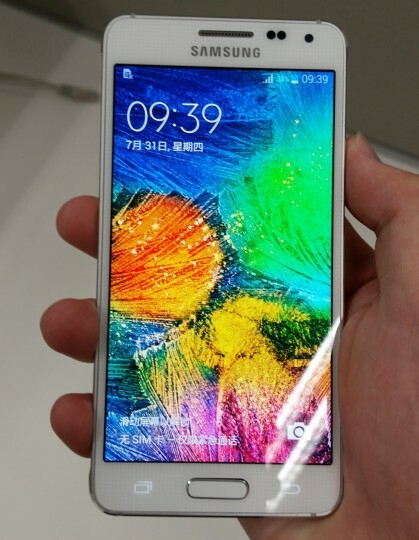 The Samsung Galaxy Alpha is aimed to compete with the iPhone 6 with the similar sized display and the metal frame. We surely can’t wait to find out if the Samsung device managed to give a good competition to the much awaited iPhone 6.